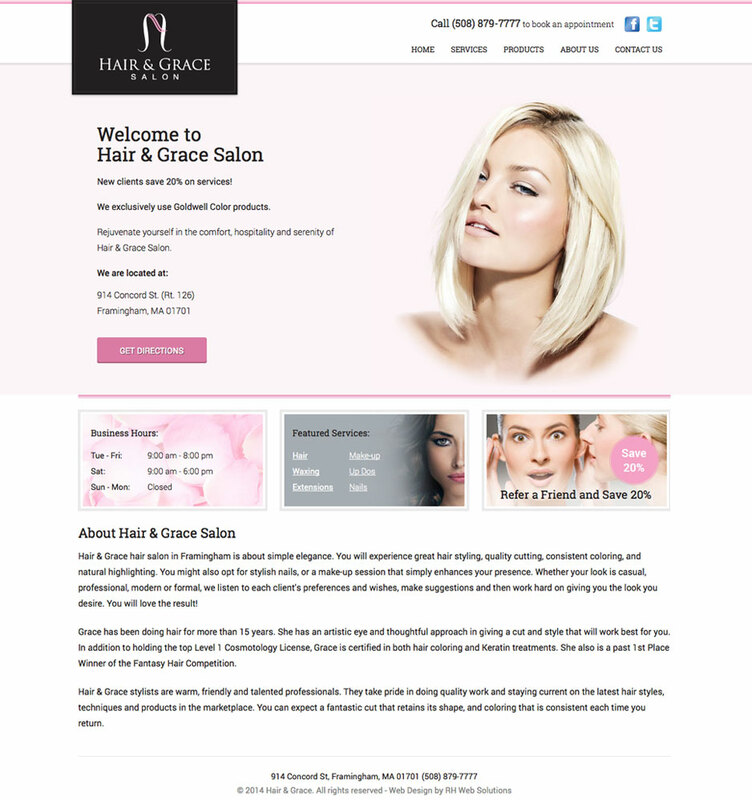 Hair and Grace was looking for a simple and elegant design for their hair salon in Framingham. We met with them over several weeks reviewing different mock-ups until we came up with a website that was exactly what they were looking for. They are very happy with the design and how it portrays their business. We are also working with them to provide additional online marketing services such as Google adwords, search engine optimization and social media services.